Drowning is the primary cause of death in helicopter water impact accidents. 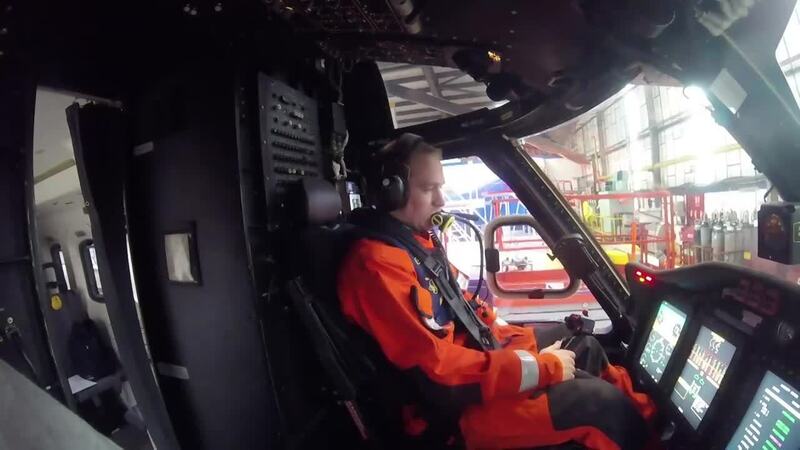 In recent years, the UK Civilian Aviation Authority (CAA) has passed regulation to improve the ability to keep helicopters afloat and to improve the crashworthiness. Now, when operated over water, helicopters are required to meet set ditching requirements to allow passengers long enough to exit the aircraft under probable water conditions. New regulation is putting the passenger first, mandating a breathing system that can operate underwater. The new CAP1034 regulation requires this emergency breathing system to be integrated into the life vest, approved under ETSO 2C504. Other regulations for operations in the North Sea require the ETSO 2C504 approved life vest to be worn in combination with an anti-exposure suit compliant with ETSO 2C502. Switlik has offered an approved life vest and anti-exposure suit to North Sea operators for the last few years and collaborated with Capewell Aerial Systems and Aqua Lung America to integrate the SEA LV2 CA-EBS manufactured by Aqua Lung to create a fully compliant survival ensemble for use in helicopter operations to and from helidecks located in hostile sea areas. To comply under CAP1034 regulation and pending ETSO requirement, the integrated life vest and CA-EBS combination had to be tested and approved in the configuration in which they are intended to be used. Which took us to Norway, for official testing. Testing consisted of measuring the performance of the breathing system in different scenarios and needed to be done when worn in combination with the approved X-Back MOLLE life vest and ETSO suit. Inversion testing of the breathing system. Participants additionally needed to demonstrate the use of the CA-EBS while escaping underwater from a capsized helicopter. Testing of the breathing system needed to take place in cold water, with a maximum temperature of 12C. Participants were required to remain underwater for a minimum of 60 seconds, unless unable to continue. All participants remained submerged for 60 seconds, with some remaining submerged for over 2 minutes. Separately, the breathing systems were tested mechanically to ensure that they operated efficiently at temperatures as low as 4C. Strict test parameters for the mechanical testing were set by both CAA and the scientific community. After the breathing systems were qualified through this exhaustive testing, the life vest, anti-exposure suit and EBS ensemble was required to be ergonomically tested by flight crews. In cooperation with a partner, flight crews of various sizes were tested in the left seat, right seat, and rear cabin of various aircraft. This testing demonstrated that the ensemble would not interfere with normal flight operations of aircraft operating in the North Sea. Following the testing, the CAA qualified the CA-EBS integrated life vest combo could withstand all the various environmental conditions and met all of the various properties required by CAP 1034.